This week I’m going to eat healthier. I have to give up on junk food and start eating more vegetables. You probably tell these things to yourself every week. And somehow, you end up eating the same things day after day. Because looking through tons of sites to find the right recipe, preparing it and creating a menu for the week to come is just too much of a time waster. But what if there was an app who could make planning your weekly meals easier? 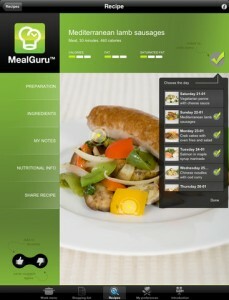 This is MealGuru and you can find it in the AppStore. Ok, perhaps that is a harsh title, but I was so excited to get my hands on a 4.5 rated app for the iPad that promised that it was all I needed to make my weight loss resolution happen that only the disappointment that followed after using the app could match it. But after just a few minutes spent with FitnessPlanner, the All-Inclusive Weight Loss Management System for iPad, I started to get the feeling that I might lose weight just by reading through the app’s documentation. The idea behind FitnessPlanner will surely appeal to you, as it has to me. It’s an app for the iPad that will empower you to lose weight and stay healthy by helping you understand your dietary needs and physical exercise requirements and based on your current age, weight, height and BMI (Body Mass Index) plus your goal weight. Popular Baby Names by Aesop. Find that perfect baby name and want to reference popular names from a wide variety of years and countries, then this app is likely one for you. 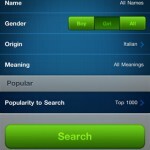 Unlike a book that can be out of date by the time it’s published, the Pop Names app gives you hundreds of baby names at your fingertips and allows you to search through these names in many ways. As with all AESOP apps, the app is fairly self explanatory, although sometimes you wonder if you might miss features if you didn’t accidentally tap on something or scroll down as far as you did. 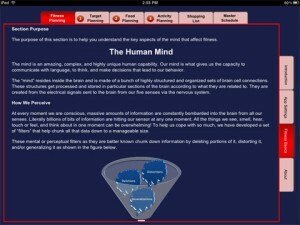 My advice, check out the app in full! Aesop Period Pace – The purpose of the app is to allow you to track, in as little or as much detail as you wish, your period and ovulation cycles. More Than First Aid, Better Aid! With safety and health being the words of the day, knowing how to apply the right kind of first aid is an universal concern. Amongst the numerous books, booklets, websites, blogs and training videos that provide you with adequate knowledge of what and how to do in case of a medical emergency, there is one iPhone app that everyone should have. iMobile Care is the essential iPhone companion, since books and guides won’t cut it when faced with an actual emergency situation that calls for action rather than research. Click here to get the bite on - More Than First Aid, Better Aid! Counting calories has never been easier since you have at your disposal countless methods to keep track of what exactly you’re consuming each day. From the bundle of apps doing exactly the same, Food Scanner stands out as probably the most effective way to keeping an up-to-date food log, enabling you to maintain a healthy diet or plan your weight loss program. This new app for the iPhone will let you scan the UPC code on packaged foods and within seconds have access to the complete food label and nutrition information. One tap away is the option to log in your food journal all of those nutrition facts. The team of developers from FitNow took into account the not-so-exciting activity of counting calories to lose weight and created an iPhone and iPod Touch app to take all the hard work out of it and let you stay on top of everything related to weight loss, from the food you eat to the exercises you do every day. The app keeps track of how many calories your body needs every day, how much you’re really consuming and how many you’re burning, making losing weight a not so stressful activity for your brain. Your body is of course a whole other matter. At log in, you create your own profile inside the app, by entering your weight, height, gender and age. And, depending on your weight loss goals, Lose It! will calculate daily calorie requirements and suggest exercises to keep you fit and on schedule. Click here to get the bite on - Stay on top of your calory count with Lose It!